The number and diversity of bioinformatics data sources, as well as their ever-increasing sizes, pose numerous challenges to investigators wanting to perform integrative data analyses in their research. The need to combine myriad data sources, formats and qualities ranging from well-vetted annotations to mere hypotheses often impedes such efforts. Sequence Registry provides unique IDs for a variety of annotations to build stable associations to peripheral data stores, e.g. Rosetta Resolver, GeneX, sequence annotation databases, motif databases, conserved element collections, probe libraries, etc. Supports broad queries, e.g. "For gene X, get me all Mm and Hs expression data, and all upstream motifs that are conserved in both species"
The poster presented at PSB 2004 described the status of the current BioHub prototype, demonstrated the ways it has been used to date (e.g. in assessing the quality of oligonucleotide probe libraries, for identifying common regulatory elements, etc. 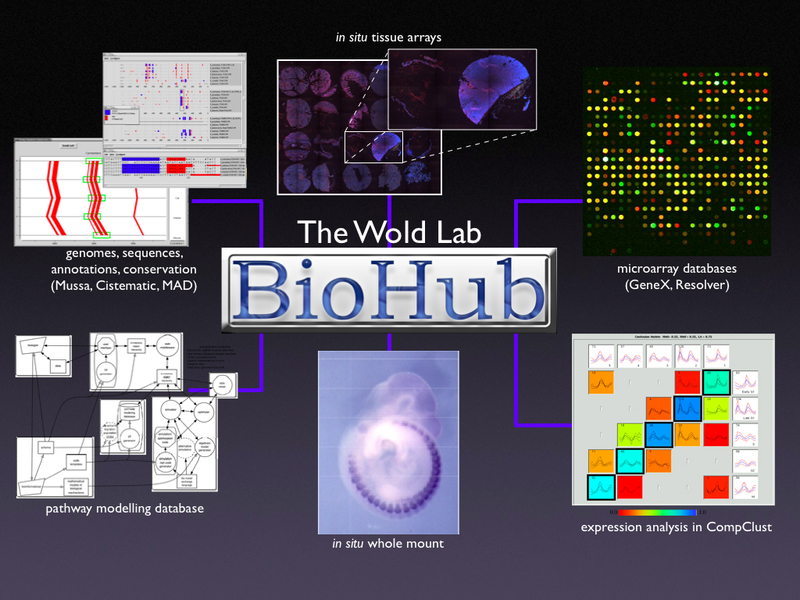 ), and described design plans for future BioHub development.